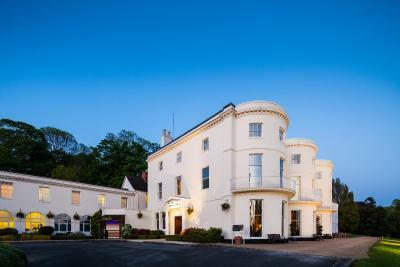 Lock in a great price for Mercure Gloucester Bowden Hall Hotel - rated 8.4 by recent guests. Location and grounds were perfect . Great outdoor area for having a drink. Lovely and tranquil. The lounge and dinning area are presentable.The staff are all friendly, especially Sharon who help us with my sons dietary requirements. 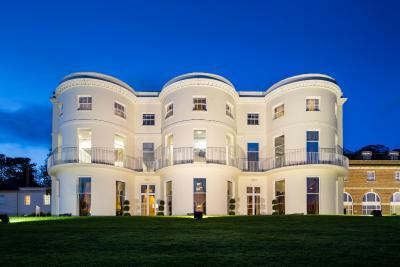 The grounds and lounge are absolutely stunning and the staff are wonderful. 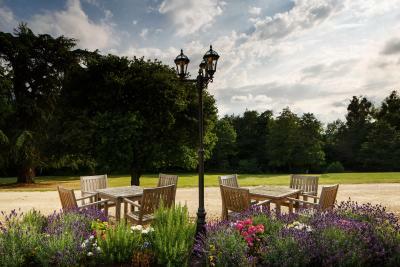 Good breakfast and located in a quiet and tranquil setting. Good value for money. The staff were extremely pleasant and so dog friendly.....the most amazing cocktails i have ever had!!!! Overall the facilities were good. The common areas were better maintained than the bedrooms. My room had a number of ladybirds and spiders in it, which I had to deal with. Fantastic venue, staff all friendly, food excellent. 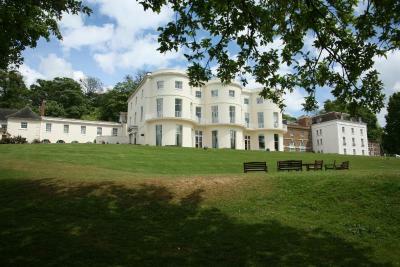 Lovely location, pretty looking externally, nice grounds, friendly staff, god size room. 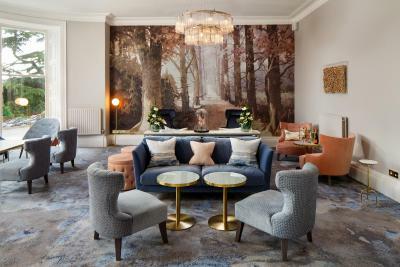 On the outskirts of picturesque Gloucester and surrounded by acres of beautiful grounds, this elegant country house boasts modern rooms, a restaurant serving good food, and a bar. Free high-speed WiFi is available throughout. 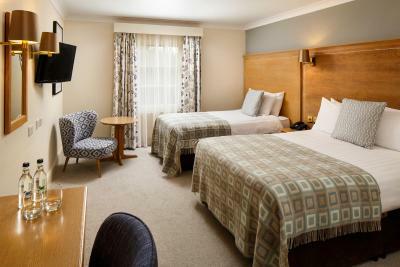 The bedrooms at the Mercure Gloucester, Bowden Hall are stylish and they all have en suite facilities. 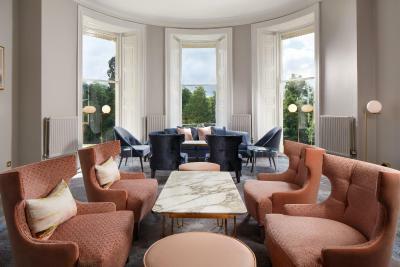 A welcome tray with tea, coffee and biscuits awaits guests, as well as free toiletries. All rooms are accessible by stairs only. 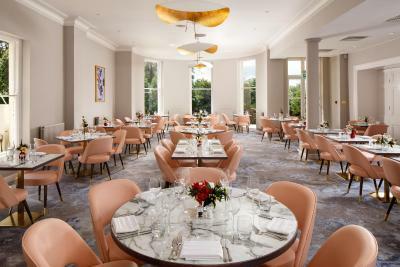 Dearmans Restaurant offers fine English food and wonderful views across the lawns and the lake. 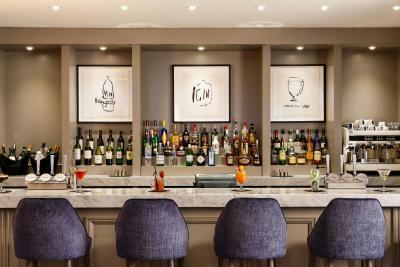 Guests can also relax with a drink at the elegant lounge or in the Club Bar. 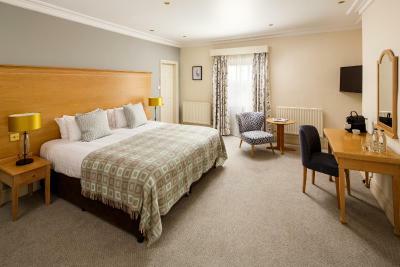 Only minutes from the M5, the hotel is also just 3 miles to Gloucester Quays Designer Shopping Outlet and Gloucester Cathedral. 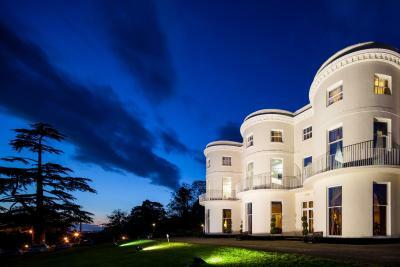 Local activities include Gloucester Golf Club & Gloucester Ski & Snowboard Centre. 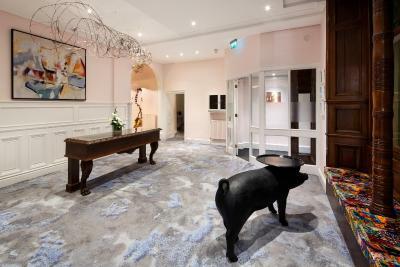 Mercure Gloucester Bowden Hall Hotel has been welcoming Booking.com guests since 13 Sept 2010. 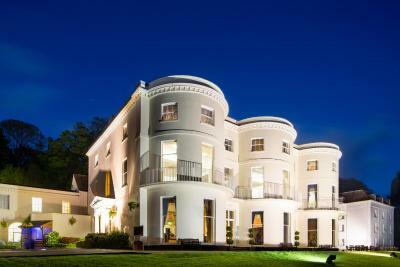 When would you like to stay at Mercure Gloucester Bowden Hall Hotel? The classic double room with en-suite bathroom comes with HD LED TV, complimentary amenities include high speed WiFi and tea/coffee making facilities. 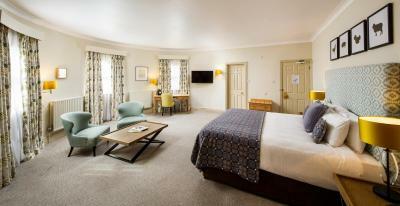 This room comes with 1 double bed and 1 single bed, an en-suite bathroom, complimentary high speed WiFi and HD LED TV. 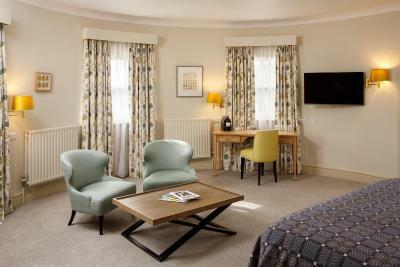 The classic twin room with en-suite bathroom, offers an HD LED TV, complimentary amenities include high speed WiFi and tea/coffee making facilities. Upgraded bedroom with en-suite bathroom offers HD LED TV, complimentary amenities include high speed WiFi, Nespresso coffee machine, bathrobes and slippers, toiletries and newspaper. 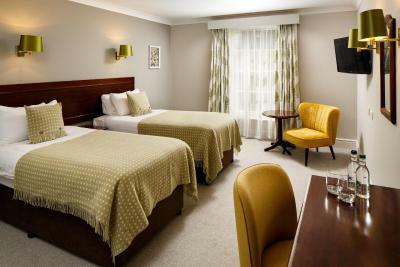 Superior room with en-suite bathroom and an HD LED TV,. Complimentary amenities include Wi-Fi, Nespresso coffee machine, bathrobes and slippers, toiletries and newspaper. 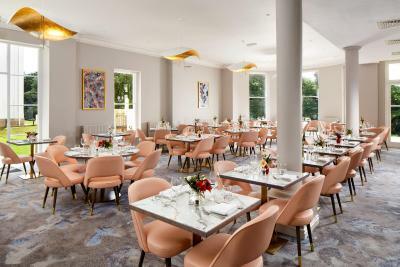 Recently refurbished property boasts a breathtaking blend of traditional and contemporary design through locally inspired artwork, bespoke crystal chandeliers, and pretty pastel shades that create a relaxed ambience throughout all public areas. House rules Mercure Gloucester Bowden Hall Hotel takes special requests - add in the next step! 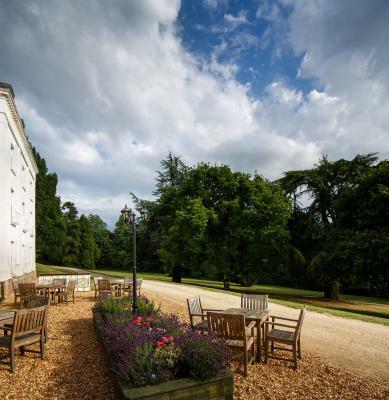 Mercure Gloucester Bowden Hall Hotel accepts these cards and reserves the right to temporarily hold an amount prior to arrival. Please note that the hotel does not have an elevator. However, there is a platform lift up to the first floor suitable for wheelchairs only. Great breakfast, comfy bed, friendly staff. The carpet was dirty, the towels really looked old and need to be replaced with new ones. there were tiny marks of dried blood on my sons pillow covers. There are 3 of us in the room and they left us with 1 tube of shower gel and 1 shampoo, of course I could have asked for 2 more sets but I didn’t bother and to be fair costumer shouldn’t need to. They know that the room will be occupied by 2 adults and 1 child. Certainly not worth £111 per night. Was a bit dated, but it’s a period property so that’s subjective. Shower had a bit of rust, but it’s an older property. Please be advised there is no lift in the property and the stairs can be demanding. Noisy room and stale sandwiches for lunch. The choices at breakfast were not brilliant. We had two evening meals which were excellent. We did not have any view from our room but the facilities were excellent. a beautifully renovated building. The staff at the reception desk were very very nice and helped us plan our stay in this beautiful area. Highly recommend this wonderful hotel. A home away from home. The breakfast service was very poor. Food was allowed to run-out before being replaced and replacement took an age. I ordered scrambled eggs, which took 15 minutes to arrive and then the portion was ridiculously small. Didn’t like that staff were setting up for a conference at gone midnight on the Friday. Moved rooms on Saturday, then the dog in the room next door was barking as it was left alone. Good food, helpful staff, nice room.